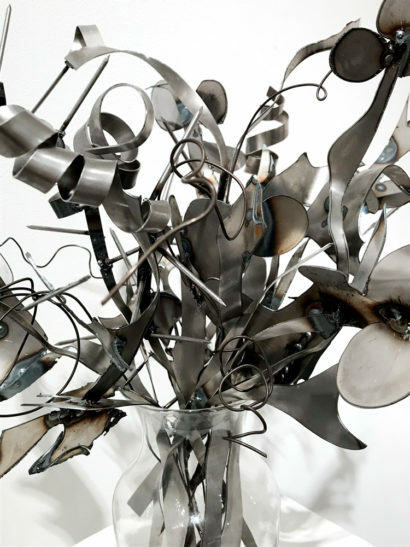 Plasma cut, hand welded steel sculptures, created in 2017 by Indira Cesarine. 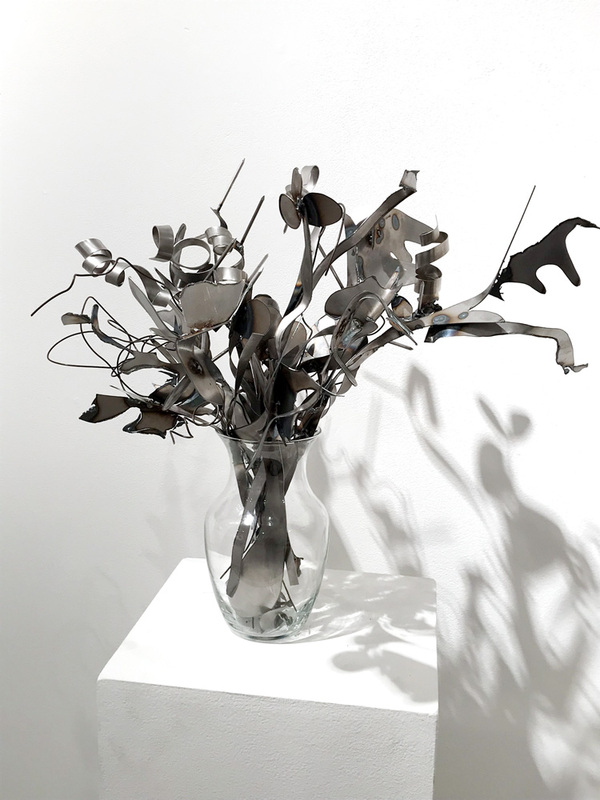 “Les Fleurs du Mal” series includes works “Bouquet of Torment”, “Les Fleurs du Mal” and “La Fleur” and is an ongoing series reflecting on the conflicted messages of the bouquet, which is often given as a token of forgiveness, of love, of death, of sorrow, of hope. 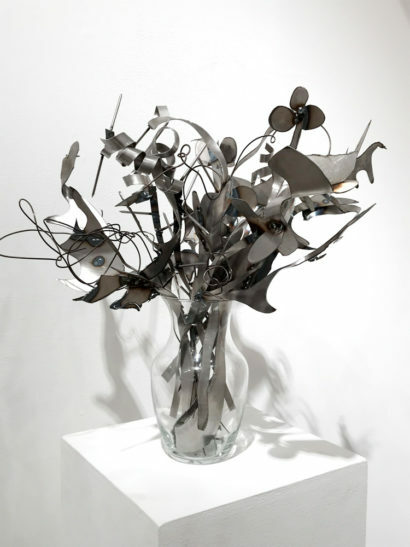 These works each represent the emotional torment that may accompany the gift of flowers.